Does anyone know if they are putting another chiller plant in for SWL? I don't know anything about how they work, but those big pipes on the roof of BE in Jane's latest video make me wonder. Or are those water delivery for sprinkler systems? Or something else entirely? 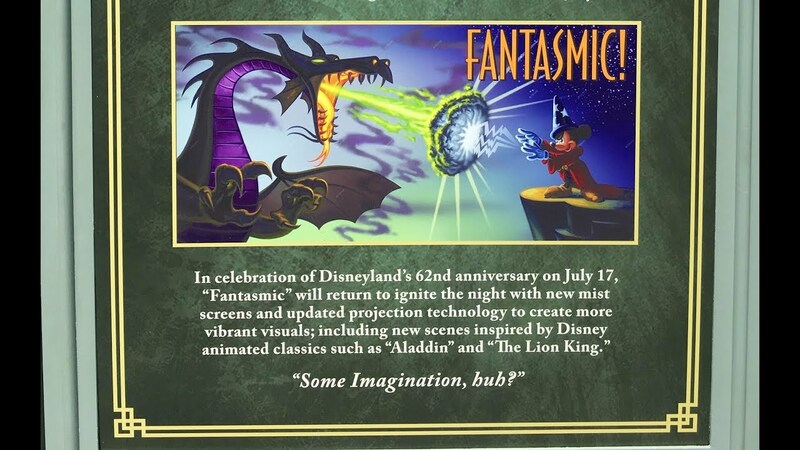 Has there been any straight on views anywhere of the Fantasmic storage? Definitely a moment worthy of inclusion in this thread even if it is in its own thread. The DLRR was testing today! Fresh Baked caught it on video. 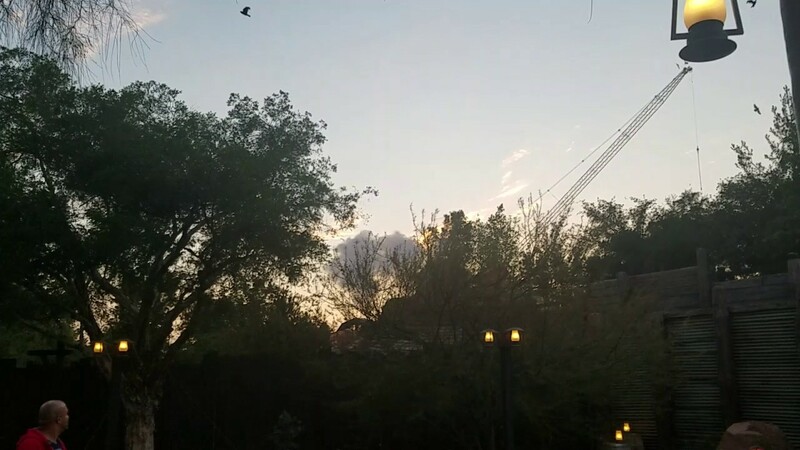 We caught our first sight of the disneyland railroad tonight! Not always my fave videos, but i totally had her same reaction in front of my phone!! Glad they posted it. That's such a great sight to see...gives me chills! A few more SILA videos from yesterday 6/23/17. 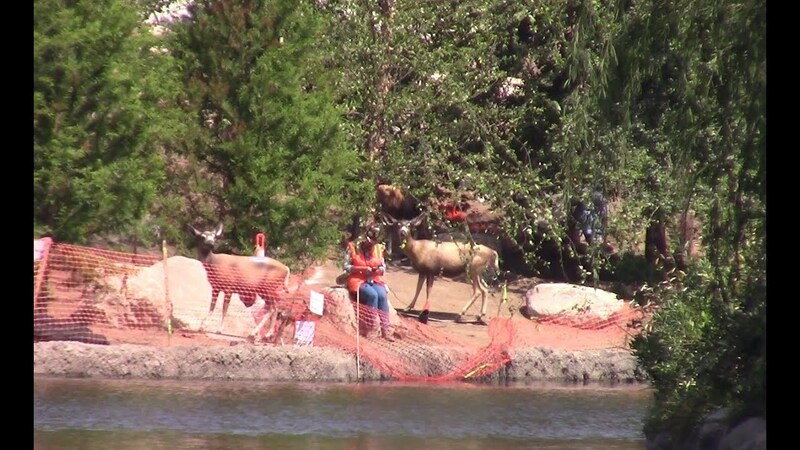 Rivers of America/Critter Country, more and more landscaping. Rivers of America from TSI. More wild life appearing on the banks of RoA...lots of deer. 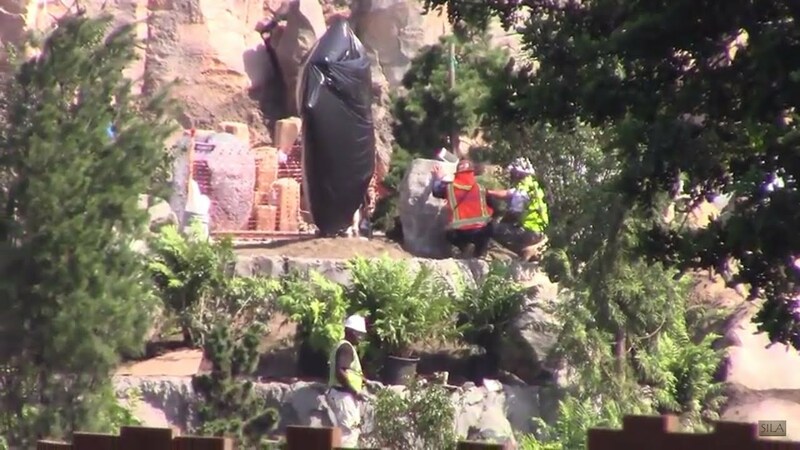 They're doing a lot of work around the Hungry Bear, hopefully those walls will come down soon. At 8:00 a good view of the work on the Indian Village. Last edited by Hammer; 06-24-2017, 09:28 AM. 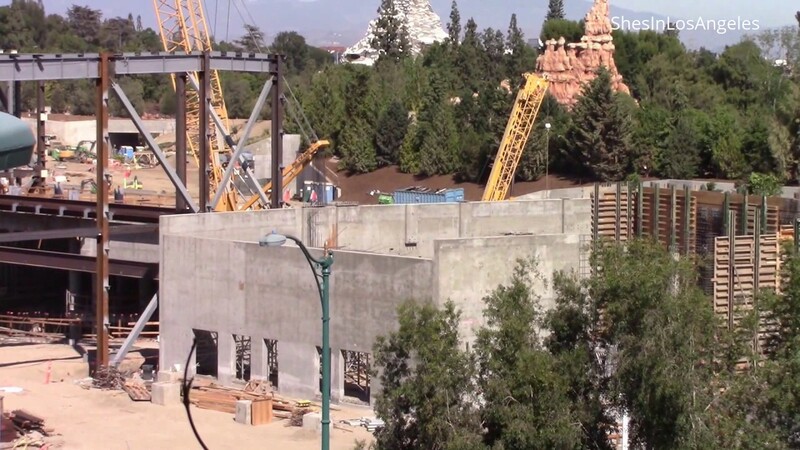 Star Wars Land construction. They've installed more trusses over about half of the large open area on the western portion of the BE building. At 5:20 a close-up of openings in there recently poured walls west of the circular structure. Doesn't seem to be too much new that we can see on the MF building. Last edited by Hammer; 06-24-2017, 10:41 AM. Posters for the return of the Disneyland Railroad, Mark Twain, Columbia and Rivers of America on July 29th...can't wait. We spotted these two beautiful posters at the Park Enjoy! The amount of landscaping that they've added in the last few days is staggering! Can't wait to see more views of the train as they continue to test. This was taken May 8th. I also wanted to point out that the construction based on the newer satellite image shows that they are still staying pretty aligned with the construction image Mintcrocodile obtained. The yellow part I highlighted looks to probably be backstage area that won't have structure built on it. 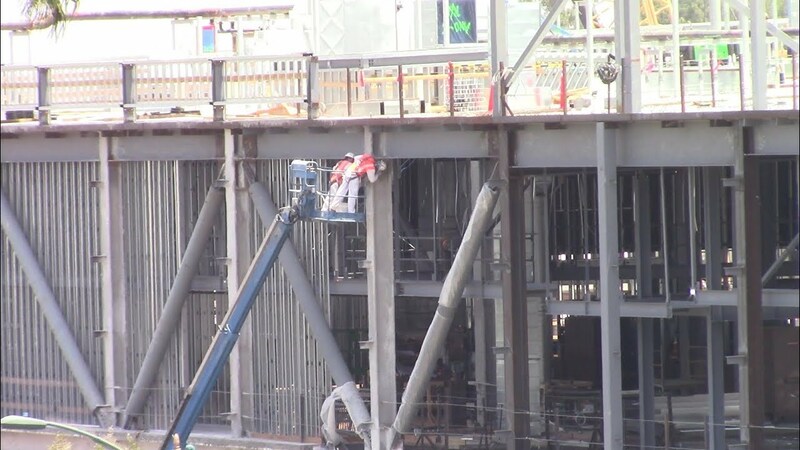 The steel we are seeing now will probably be the extent of how far west the building is going to go. I wonder will these attraction have the queue mostly inside the attraction building or will they keep people outside along the front? I remember Space Mountain when you waited mostly inside as well as Star Tours etc. I am wondering if they have figured out the safety/comfort needs in these 2 attraction to make sure they do not fall victim to same errors. And yes I know for the first year or so it will not matter as the lines will double back across the land itself but I am talking when crowds achieve their equilibrium. My heart can't contain all this news at once lol especially the railroad! Seeing the steam arriving over the new route gave me chills. It's so beautiful to see and hear that again! 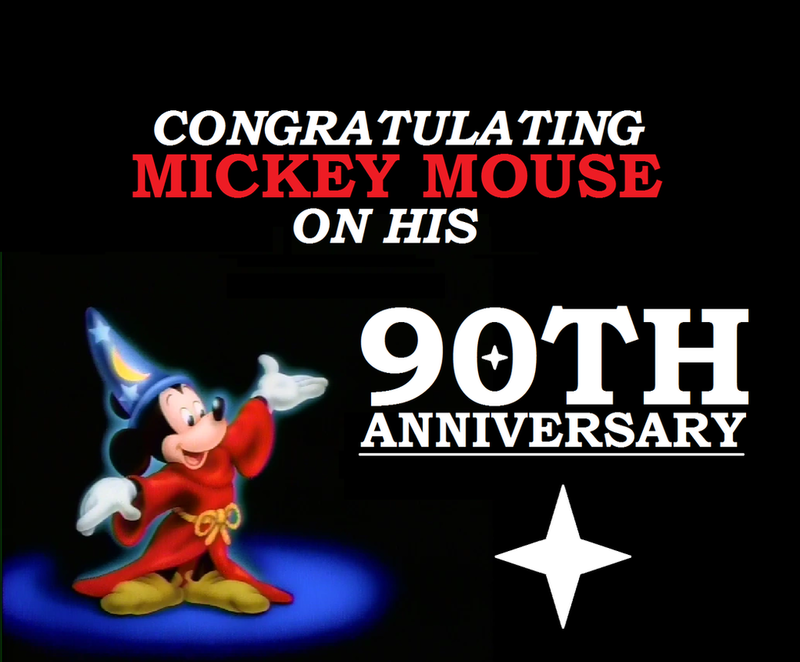 Love the new signs too, super relieved that Fantasmic will be back in less than a month! He shoots, he scores! Its obvious, now, that there will be four circles. It still begs the question about what kind of ride system the MF attraction will use. Well, now we can definitely see where the actual external MF model will sit. Two new SILA from Monday 6/26/17. The views of SWL construction from the parking structure are getting more and more obscured, as Jane says "the wall are closing in on us". 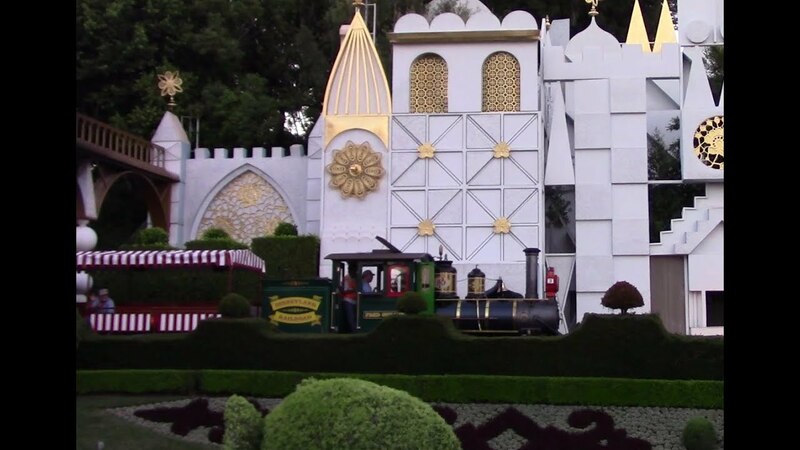 Disneyland Railroad testing. In Jane's description of this video, she tells us they met Mark Eades, a reporter from the Orange County Register on assignment regarding the DLRR that day. They sat with Mark on a bench along the Big Thunder Trail for over an hour waiting for a view of the Fred Gurley steam locomotive. Apparently Mark entertained them with quite a wealth of information about Disneyland and the DLRR. It would have been a hoot to be sitting on the bench with them. I'll never get tired of seeing the trains running again...so cool to have them back in full soon. Why are the two sets diff sizes? Is the slightly smaller set to the west just less farther along than the larger, as in the larger set has more and/or thicker footings? Does the smaller set represent a modified version or less intense version? What's your theory? In the northern part of the shores of ROA, look how large the arroyo is!! That will be the grand finale as far as the cascades are concerned (my guess). Is this the entry point for the F! marina? My guess is the two western most circular structures in the MF attraction are not as far along in the construction process. In the end all four will most likely be the same.